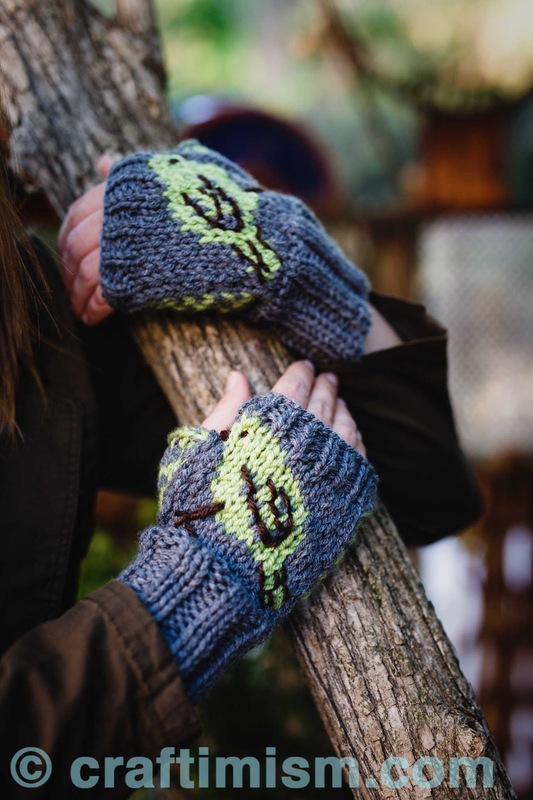 My latest #ScienceKnits project features these adorable Hawaiian Honeycreeper (Amakihi) birds on fingerless mittens. I made these fingerless mitts for Craftimism's #1 fan, Loren Cassin Sackett. Loren was the recipient of one of the original #knityourPhD hats (the prairie dog hat seen here). Since then, I have knit her a Bicycle Knit Hat and a Straight against Hate (STR8 anti H8) hat (pattern forthcoming). Loren studied the plague in prairie dog colonies for her PhD (more information here). After earning her PhD from the University of Colorado, Loren moved to the Smithsonian Institution in Washington, D.C.
Loren's project at the Smithsonian involves studying the Hawaiian Amakihi (honeycreeper). 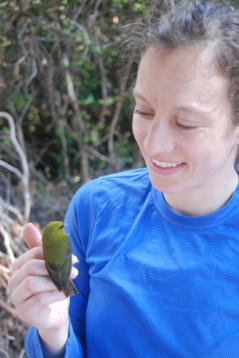 Loren and her colleagues are working to find out why the Hawaiian Amakihi is resistant to avian malaria (more details here). She recently asked if I could create fingerless mittens featuring the Amakihi. I designed a pattern featuring 2-colored stranded color work, and I embroidered the beak, wing, eye and leg after finishing the mitten. The pattern can be found here on Ravelry, here on Craftsy, or purchased directly here.